Squirrels are making the news in Northern New England Maple Syrup country….and not in a good way. “Maple syrup producers have more than the weather to worry about. It seems than squirrels have take a liking to the plastic lines that bring the sweet sap of sugar maples to collection buckets, drums and tanks. you can see how this kind of squirrel damage can be devastating to a maple syrup producer. with our SquirrelScentry PredatorPee® and PeeCoy Predator Decoy. The squirrels not only gets the danger warning from the smell of real predator urine, but sees the predator too! 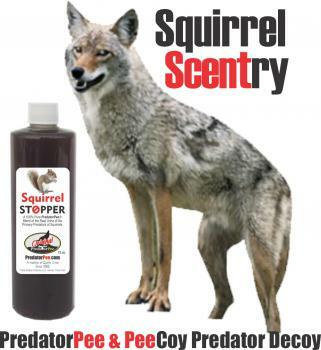 The combination of predator smell and predator visual is just too much for squirrels to handle….they are just gone! The sugaring season is short enough, you don’t need squirrels chewing up your sap lines and your profits. 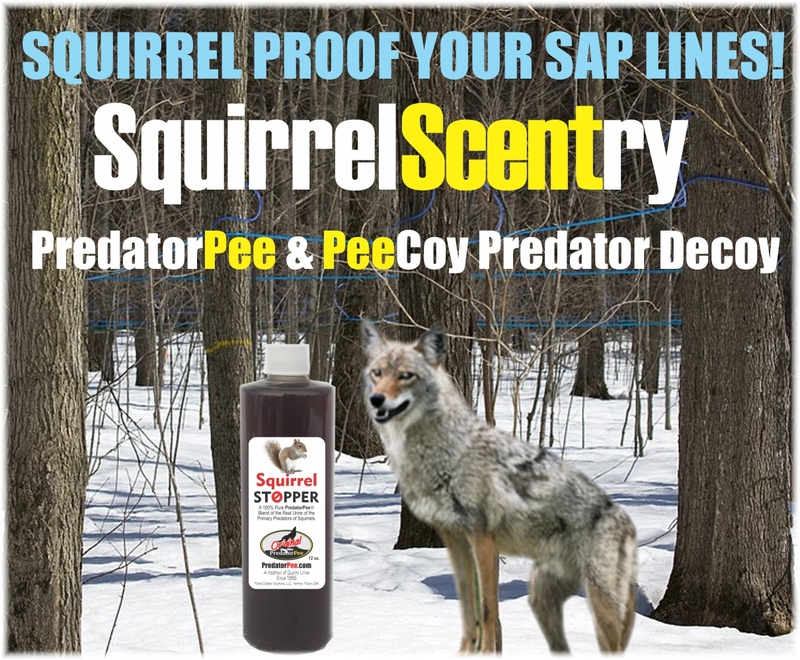 Protect your sugar operation with SquirrelScentry PredatorPee® and PeeCoy Predator Decoy. 100% Guaranteed & Free Shipping – Always!